It was a very easy decision for me to start DigitalChalk on a cloud computing platform. The calculations were quick and easy 4 years ago with a small budget and a dream to build a global platform for training. We had to scale as we gained customers because we didn't have the immediate capital to buy everything up front. 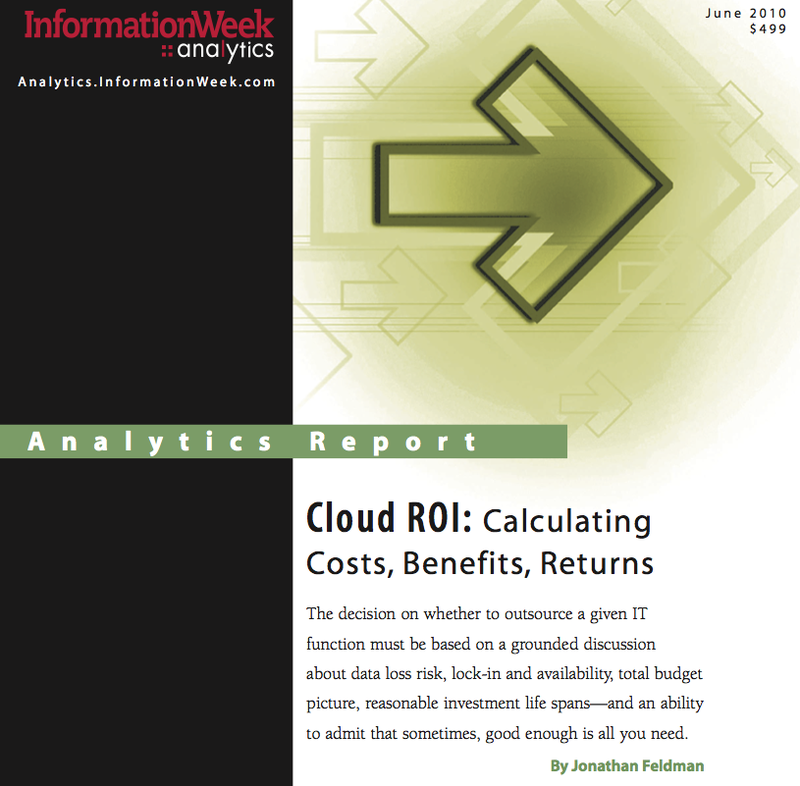 Today, I still spend time thinking of new ways to use the power of the cloud for our business and the ROI is still clear to me; but I have to say that it is something I get asked about every time I speak or talk to other people looking to take the plunge. I had the pleasure of speaking with Jonathan Feldman, writer for Information Week, more than once over the past couple of weeks. He has put together a great study helping the CIO, CTO and individual business units navigate the "gotchas" and common questions when it comes to moving to the cloud. I was happy to see the report and I think it will help those of you looking to move or start some of your applications to the cloud. I encourage you to take a moment and read the report. 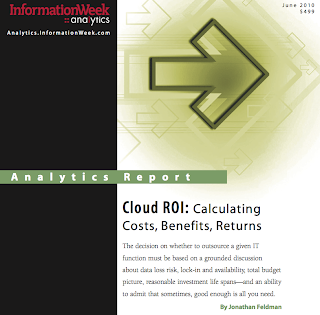 It is an Analytics Report titled, Cloud ROI: Calculating Costs, Benefits, Returns and can be found here. Great job Jonathan! It is good to see all of this research in one place.